This revised edition incorporates the final results of Daniel Jones' lifelong study of English pronunciation usage. It is the standard work on English phonetics. 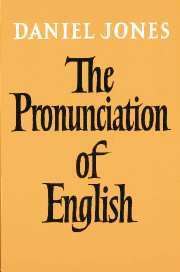 The Pronunciation of English was written originally as a detailed description of the phonetics of English, presented from the point of view of the native English-speaking student. Since the book provided key information needed by foreign students, it soon established itself as a standard textbook in universities where English was spoken as a foreign language. 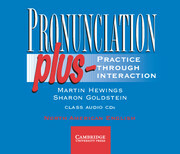 Most of the book is devoted to a descriptive account of English pronunciation. This is followed by illustrative texts in phonetic transcription of Received Pronunciation and several regional varieties, Scottish and American pronunciation and reconstructions of Shakespearian and Chaucerian speech.